High demand sparked online lags and long lines, frustrating fans who missed out on the products. 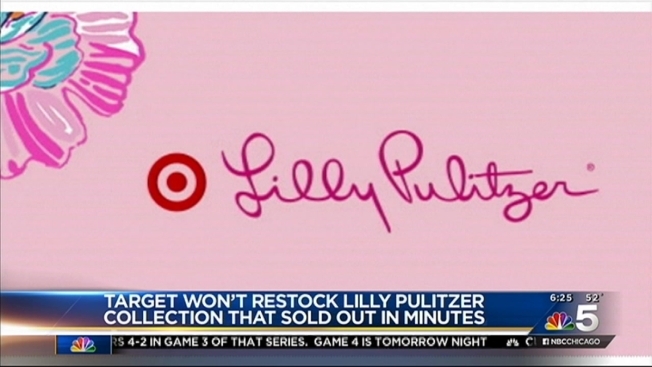 Lilly Pulitzer's highly anticipated Target collection debut led to disappointment for many shoppers. For many fans, the Sunday release was filled more with long lines, empty racks and website problems than purchases of the colorfully printed products. The much-hyped collection was slated to go on sale early Sunday morning, but some online users reported problems with Target’s website. On top of the extreme online traffic, stores across the nation saw large crowds and long lines, with some selling out entirely in just a few minutes. By Sunday afternoon, Target said products online were nearly sold out. “We took several measures throughout the morning to manage the extreme traffic levels and make the collection accessible to our guests,” the company said in a statement. For those still waiting for #LillyforTarget, we are continuing to work through our website experience. We will share updates as they come. Due to the overwhelming excitement for the #LillyforTarget collection we are making adjustments to our website. Stay tuned for updates. The company said it does not plan to replenish the limited-edition collection’s products online or in stores, a move that left many customers disappointed. The fan frenzy gave several stores a Black Friday feel and had many taking to Twitter using the hashtag #LillyPulitzerforTarget. Target, which said it would not apologize for items selling out quickly, did address fan frustration as items appeared on eBay for increased prices. "Seeing items on online auctions reinforces that this collaboration is resonating with customers," the company said in a statement. "Items are becoming collector's items. However, it's disheartening to Target as a brand. Target does these collaborations to make designers available to people at a great price. Putting items on EBay takes away from the entire spirit of the program."